 GameTracker.com - Battlefield Hardline Banners, Forums, Status Monitors, Server Statistics and more! GameTracker.com has added support for official Battlefield Hardline stats to our network! Battlefield Hardline is a first-person shooter video game focused on policing and the "war on crime".